Andrew Goldstein is a teenage music machine whose “how I spent my summer” essay will feature the production of his first album: Three Stars in the Sky. Until June 29, Andrew is hosting a Jewcer.com campaign, hoping to make his dream a reality. 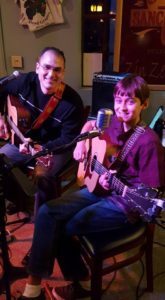 Andrew, 13, who started beat boxing at 7, playing guitar at 9 and wrote his first song — a Mi Chamocha setting — at 10, is the son of Dana and Jonathan and brother of Micah. A Los Angeles native and now McKinney resident, he’s a rising eighth-grader at Imagine International Academy of North Texas. 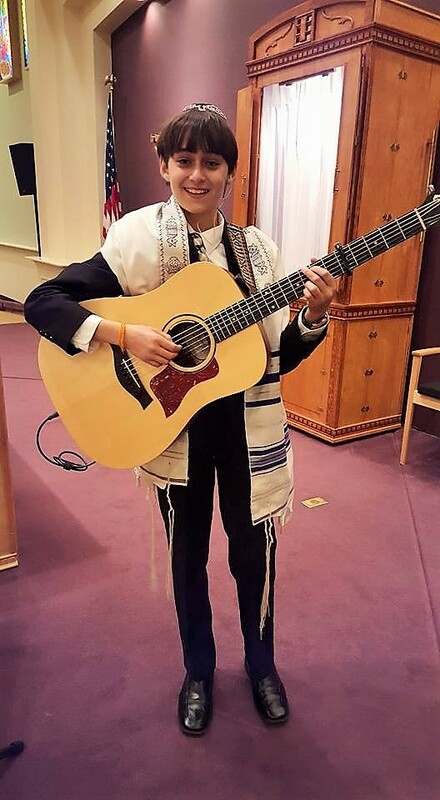 Andrew joins his father and Lori Spinhirne as soloists at Adat Chaverim and occasionally at The Legacy Willow Bend. Camp Hess Kramer in Malibu, California is Andrew’s “summer home”; he is a third-generation camper. His “happy place,” also where his parents met, was the impetus for the song, called just that — Happy Place. Andrew’s musical heroes include Sheldon Low, Mikey Pauker, Recht, Josh Warshowsky, and Dallas’ own Josh Goldberg, whom he chose to produce his album, amazed by his energy and his own path. Titled Three Stars in the Sky, signaling the end of Shabbat, with hopes of keeping spirits high until it arrives again, the CD includes Shalom Aleichem, Shema, Mi Chamocha, Hashkiveinu, Oseh Shalom and Y’hiyu L’ratzon. To support Three Stars in the Sky, go to jewcer.org/project/andrewgoldstein/. For information about Andrew’s music and more, visit andrewgoldsteinmusic.com/.